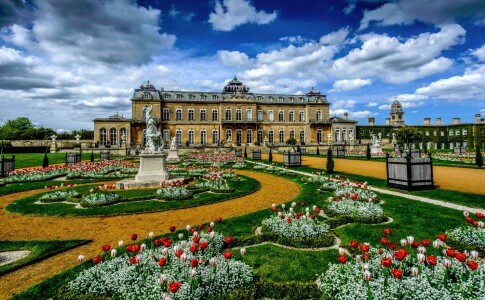 The Wrest Park mansion in Bedfordshire, England is surrounded by beautiful formal gardens. The house was built in the early 1800s. Credit: Special thanks to Alan Batham for granting permission to use this photograph as a jigsaw puzzle. Visit Alan Batham's website. See all jigsaw puzzles based on Alan Batham's photographs.